The U.S. Department of Energy replaced the top executive of the Bonneville Power Administration Monday on what it said was an interim basis. In an afternoon email to employees, the Energy Department announced that Elliot Mainzer, deputy administrator, would step in as the agency's administrator. The email didn't mention by name BPA Administrator Bill Drummond, specify his status or in any way explain the move. Sources close to the agency say that both Drummond and Chief Operating Officer Anita Decker have been placed on leave. The Energy Department is reportedly conducting a management review of BPA's use of veterans preferences in hiring, the sources said. The BPA would not comment, referring all questions to the U.S. Department of Energy, which did not return calls. The DOE email left employees, customers and others in the industry speculating about the moves. Drummond was appointed director only six months ago, replacing longtime BPA Administrator Steve Wright after his retirement. The federal power marketing agency, headquartered in Portland, is the key player in the regional energy market. 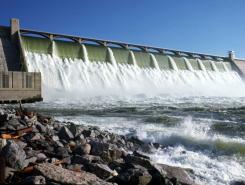 It sells power from 31 federal hydroelectric dams and a nuclear plant, directly supplying 140 public utilities. It controls three-quarters of the region's transmission network, so its operations, policies and strategic direction impact every utility, and every consumer, in the region. Drummond has worked in the energy industry for more than 30 years, and spent 17 years as manager of the Western Montana Electric Generating and Transmission Cooperative before joining BPA in 2011. Mainzer joined BPA in 2002 and has led many of its important and controversial initiatives over the last five years. 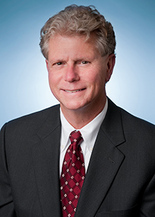 Decker has served as chief operating officer for the BPA since 2007. Prior to this, she spent 27 years with PacifiCorp. "Today, Bonneville Power Administration (BPA) Acting Deputy Administrator Elliot Mainzer has been named Acting Administrator on an interim basis. "The mission of BPA is critically important to the Department of Energy, to the customers BPA serves, to America's energy sector, and to the Nation. I want to take this opportunity to thank you for your continued hard work and dedication. We are grateful for your efforts. "As you know, Elliot has served as BPA's Acting Deputy Administrator since February 2013. In this capacity he oversees BPA's Finance, Strategy, Legal, Public Affairs, Risk Management, Compliance, Governance and Internal Audit functions. He has been with BPA since 2002 -- serving in a variety of management positions with BPA's Power, Transmission and Corporate organizations.